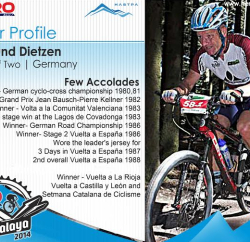 Countdown for the MTB Himalaya 2013 has already begun and to tempt cyclists, MTB Himalaya team has released a video of the MTB Himalaya Spiti Edition 2013 – The Himalayan Odyssey, and compiled with some of the previous footage of the event. In this video, cyclists can feel real event like thrill. Although it gives little information about the event, yet it surely offers the glimpse of thrill, adventure and breakthrough beauty of virgin Himalayan region, which cyclist enthusiast will feel during the event. 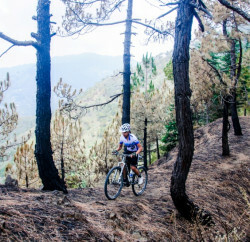 Himalayan Adventure Sports & Tourism Promotion Association (HASTPA) and Himachal Tourism are organising the India’s premier international mountain biking challenge from past eight years and now organisers are willing to make this weeklong event more adventures from this session and therefore inducting advanced route, better cycling conditions, and revamped structure management for an altogether distinct and improved cycling adventure. In this event, cyclists will wade through unexplored but enchanting interiors of Himalayas, hike through deep forests, soak in the sun and will definitely experience nature all around MTB Himalaya 2013 will test the endurance of cyclist in the tough uphill, dangerous downhill, village back roads, beautiful meadows, thick vegetation, Jeep tracks and savor Real Mountain biking during its 500 km/380 miles, 3250mt above sea level, the Himalayan Challenge. 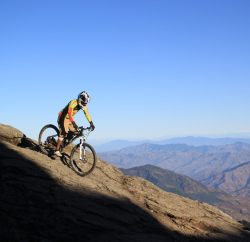 The weeklong ninth edition of adventure will commences in Shimla from Sep 27 to Oct 3.